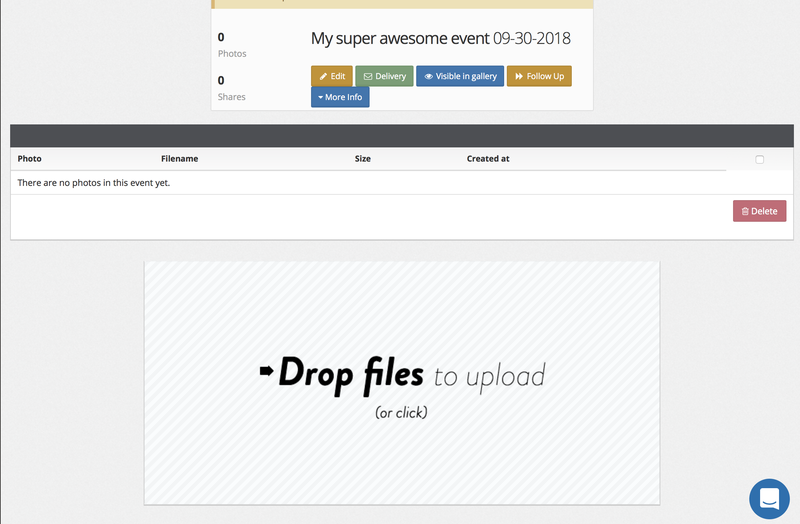 You can upload files to your event after the event. You can upload photos and gifs but you cannot currently upload videos from the dashboard. Scroll to the drop zone at the bottom of the page. Click the drag zone and find your files or drag and drop the files into the drop zone. Scroll to the bottom and click the delete button. The folder will be saved by event name and date.